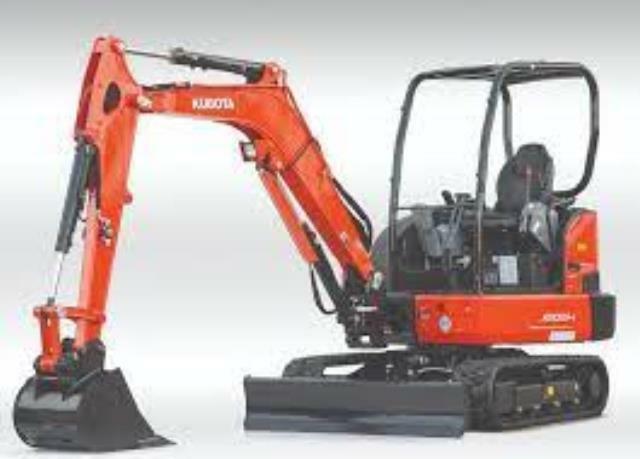 Engine: Kubota D1503 - M, 3 cylinder, liquid-cooled, overhead valve diesel engine, 28HP @ 2300 rpm. Operational: Weight 8234 lbs, 10.6 gallon diesel fuel tank, 1.5 gallon cooling system capacity, 9.5 gallon hydraulic fluid system capacity, 1.4 gallon engine oil capacity, with 20.6 gal/min hydraulic pump flow capacity. Maximum cutting height, 11.6' maximum loading height, 7.3' maximum vertical wall digging depth. * Please call us for any questions on our excavator mini 8000lb class rentals in Tualatin and Eugene, serving the Portland Metro area, Eugene/Springfield Metro area, Oregon, and SW Washington.